Our didgeridoo workshops are a fantastic team-building exercise for your colleagues and teams alike. Learn from an expert as we go through the basics on how to play the didgeridoo, circular breathing, and building complex rhythms. Sprinkled with some interesting facts and history behind the incredible instrument, you and your team won't be disappointed. The dance, the sounds and the gestures - this important Aboriginal ceremony touches everyone. Inviting the non-Indigenous people to understand Aboriginal culture and history, and providing everyone with a glimpse of our diverse cultural roots. 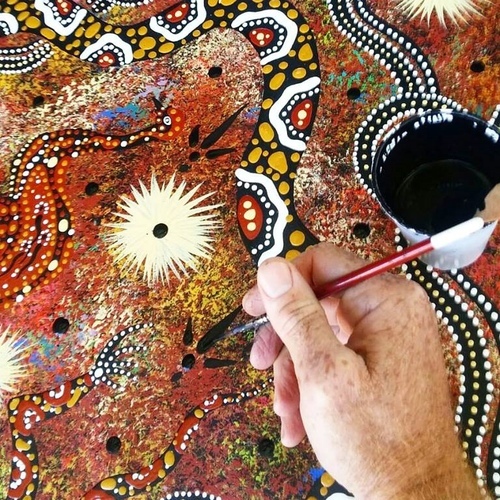 An ‘Acknowledgement of Country’ can be done by anyone, a person of Indigenous or non-Indigenous heritage. We do this to pay respects to the rightful and true custodians of the land. Hosting a big corporate function? Creative Native will help decorate your venue with alluring paintings. You give us the specs and we will make the rest happen! You can now hire a didgeridoo player for your event! Enthral your audience with an unforgettable didgeridoo recital that captures the sounds of the great Australian outback and our ancient Aboriginal culture. We understand how corporate gifting can make or break the deal for you. A tasteful, thoughtful and meaningful gift can go a long way in cementing professional relationships. Pick from our extensive range of authentic Australian made gifts to suit any occasion. 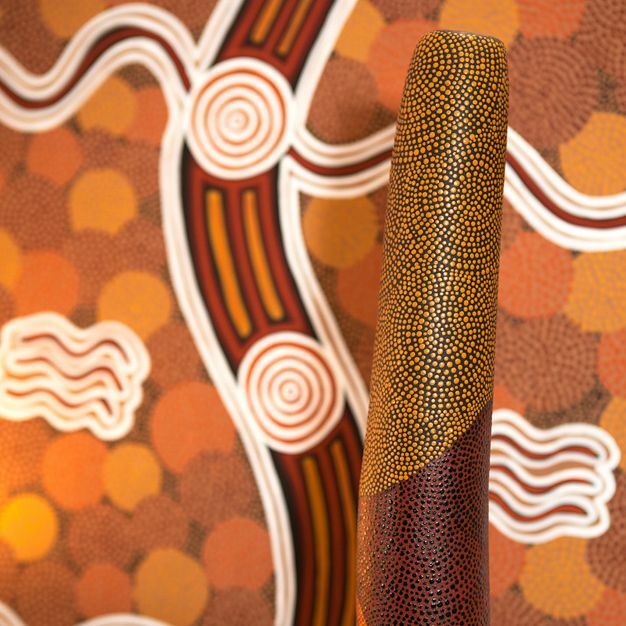 We feature a large range of boomerangs, hand painted bone art, didgeridoos and Aboriginal artefacts. Creative Native is the first stop for anyone looking for gifts unique to our Western Australian region. It's that the season of giving isn’t just limited to Christmas! Whether you are moving offices, celebrating a big milestone, welcoming new staff members, or appreciating a particularly hardworking employee – there are lots of reasons to give a gift. Nothing spells SPECTACULAR like a gift that you picked from Creative Native! It’s easy to tell when the person ends up holding on to their treasured gift for over 10 months. And you know by the way they admire it that it really touched them. Creative Native has been playing secret Santa for executives of some of Australia’s biggest mining companies, supplying unique gifts in-line with the corporate values and culture. We are also proudly the preferred supplier to several government institutions around Perth. We offer personalised gifts that can be made to order. And we offer free delivery anywhere in Perth for your orders. Please send us an email on art@creativenative.com or give us a call on 0466 401 977 to discuss your dates and gifting or event requirements, and to get a quote from us.